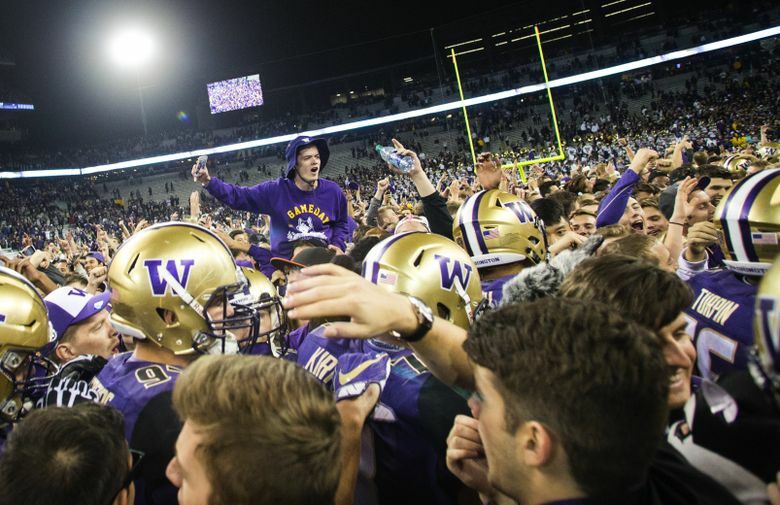 ‘Hard Count’ podcast: How much would it cost to see the Huskies in the Peach Bowl? As the Washington Huskies prepare to take on the Alabama Crimson Tide in the Peach Bowl national semifinal game, we take a look at how much the trip will cost fans. College football bowl season kicks into high gear this week and this podcast will cover plenty of it. As the Washington Huskies prepare to take on the Alabama Crimson Tide in the Peach Bowl national semifinal game, we’ve got Jesse Lawrence, president and CEO of TicketIQ in New York, discussing what ticket and hotel prices look like for any fans looking to make a last-minute trip to Atlanta. Also, bowl season means big-time gambling around the games. We spoke to Arnie Wexler, a Florida-based author and one of the nation’s foremost specialists on compulsive gambling, about how sports-betting is becoming more mainstream and what those with a problem can do to get help. All that, plus our choice for the best and worst Seattle sports business moves of the year.